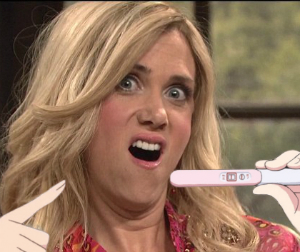 I was online this morning and I saw an article posted by Kotaku about the recent Japanese pregnancy test meme. 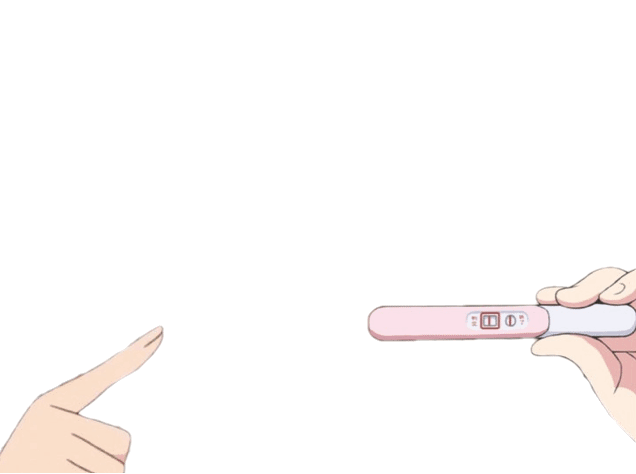 Apparently you just take a still image of an anime character and overlay this pregnancy test graphic. I was amused. It’s just so absurd to me. Mostly because if you’ve ever watched anime then you know that sometimes everything is fairly extreme when it comes to expression and emotion so just about any still from any situation would work. 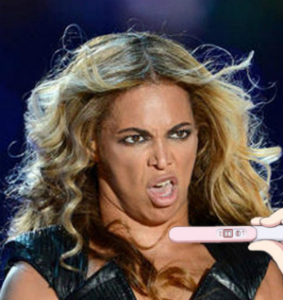 I haven’t really watched any anime in a few years so I Googled for a few extreme celebrity expressions to play with. I also don’t have access to Photoshop but I was still able to put something together easily with Pixlr which is a free online image editor. Hopefully these ladies don’t have me beaten up. I think they are both attractive, but even they have to admit that these faces are pretty crazy. Anyway, the original article, the file, and a link to an editor are all included in this post. That’s just about everything that you need. You’ll have to provide your own anime stills though. And as Kotaku pointed out, they don’t have to be anime so you can always opt to find some interesting images online instead.